BAL Prime APD is a rapid-drying acrylic primer suitable for priming wall and floor backgrounds prior to the fixing of ceramics, mosiacs and natural stone tiles in dry or wet interior and exterior environments. 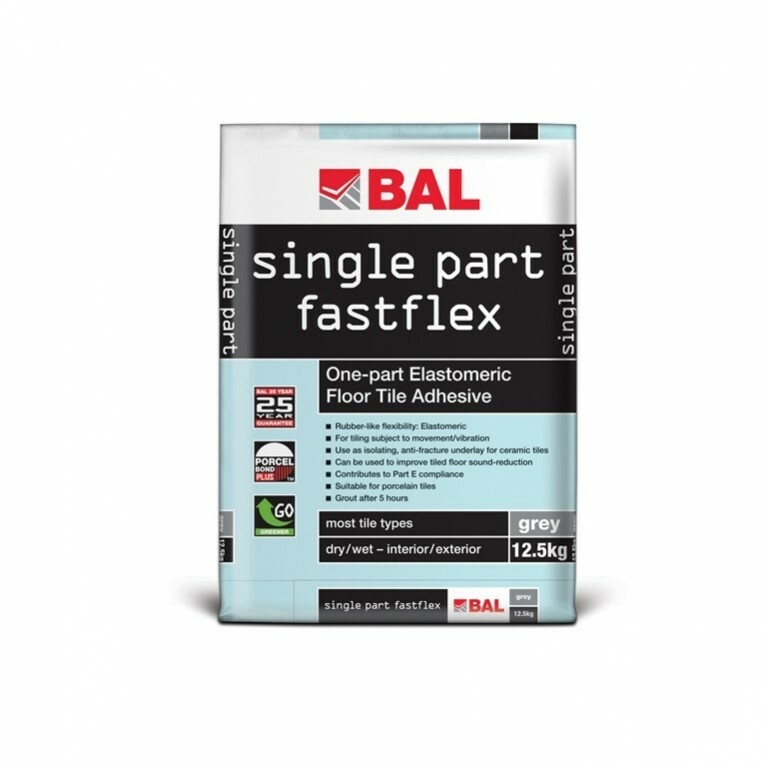 BAL Prime APD stabalises dusty surfaces and reduces the porosity of backgrounds and may be used undiluted on plaster walls and plasterboard, tongue and groove floorboards and anhydrite screed floors. Use diluted on plaster walls (if dusty or porous) and cement floors. 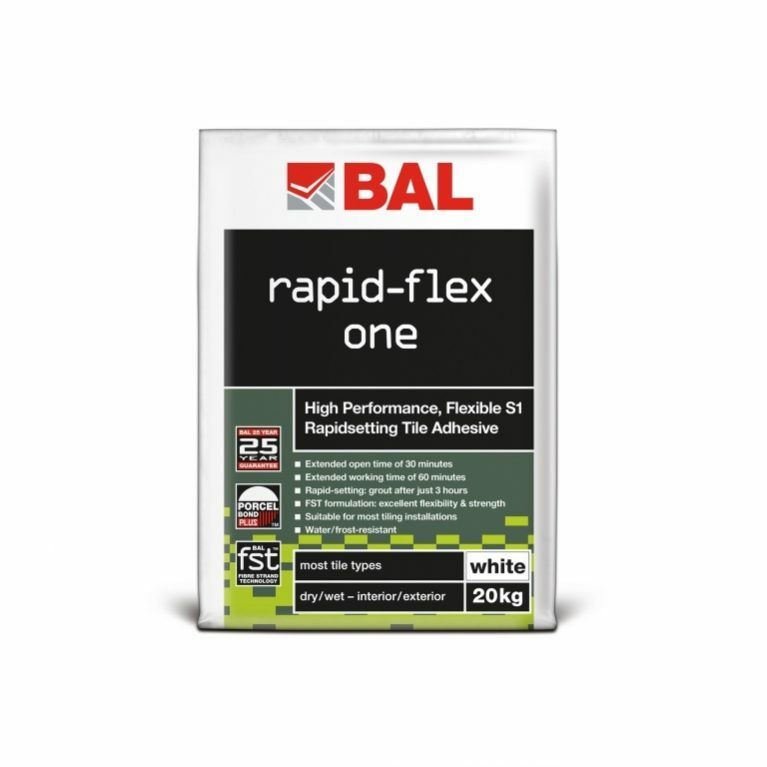 Perfect for priming walls and floors, BAL Prime APD offers a number of benefits for the fixer. 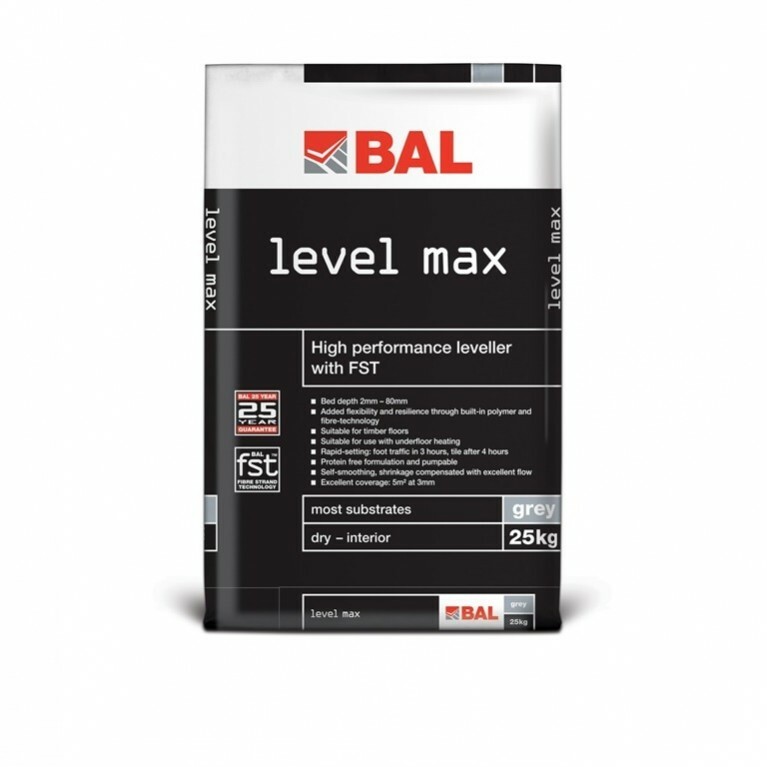 Available in 2.5 litre bottles, the product can also be used with BAL levelling compounds and the BAL WP1 Waterproofing Kit for showers. 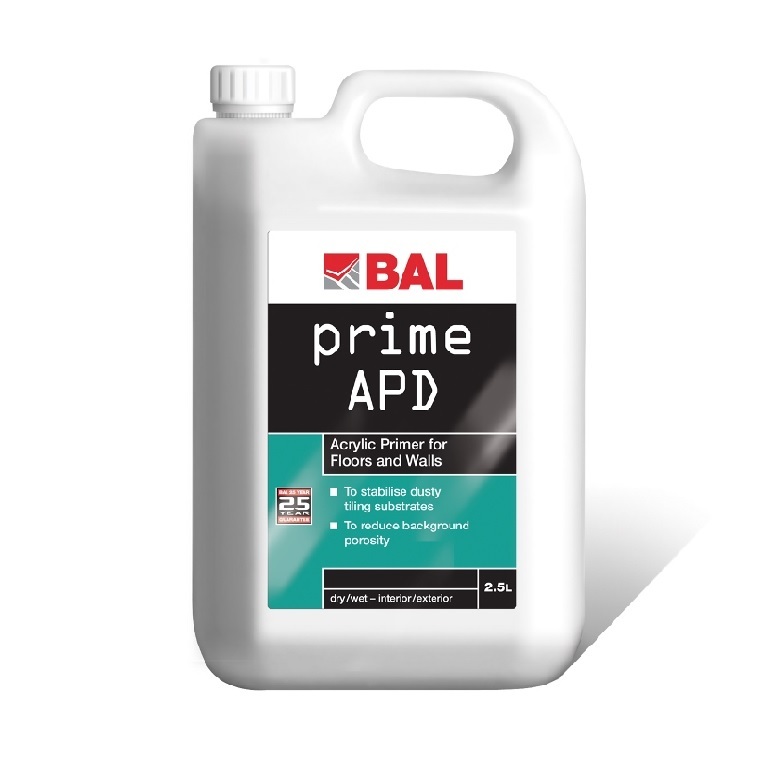 BAL Prime APD can be used undiluted and diluted and helps stabilise backgrounds prior to tiling in interior or exterior environments.